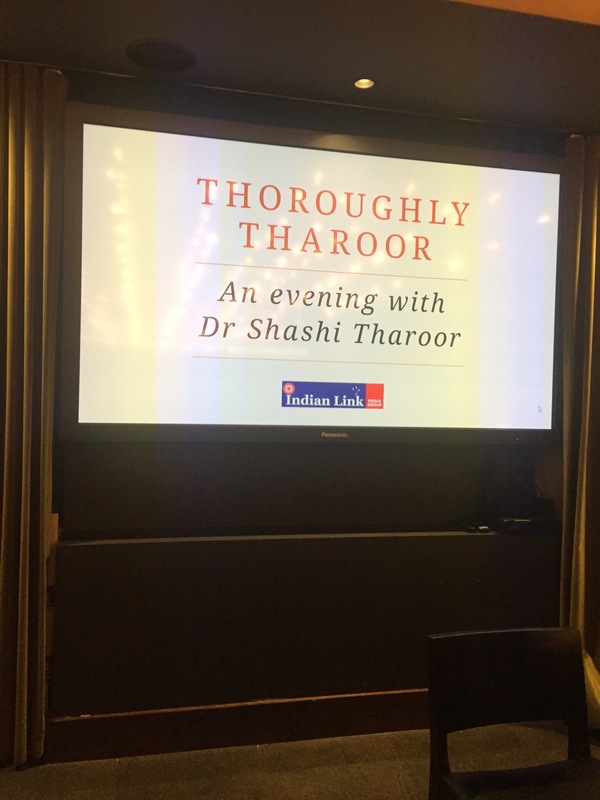 Indian politician, former diplomat and multi-award winning writer and novelist, Shashi Tharoor, is currently visiting Australia to take part in Melbourne Writers Festival. He will be in Sydney tomorrow to speak at the Opera House. 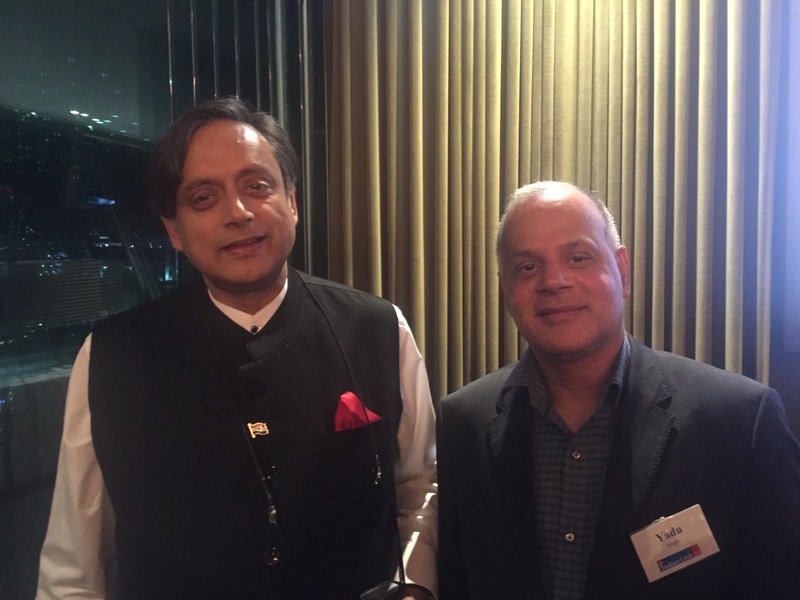 I joined the dinner event at Manjit’s, The Wharf, Sydney on Sunday, 3rd September, organized by Indian Link Media Group along with about 40 others including Multicultural NSW Chair, Dr Hari Harinath and many Australian journalists. He was interviewed by Australian Broadcasting Corporation (ABC) Radio-The World Today about the impact of 200 years of the British Rule on India. India’s share of 27% of the total world GDP in year 1700 came down to 3% at the end of British rule due to their loot and systemic industrial neglect of India. A compulsory listening indeed. See below. 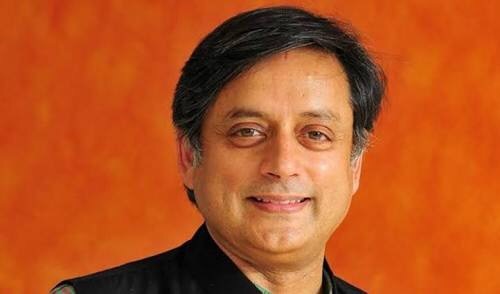 He is the current Membet of Parliament (MP) from Thiruvanthapuram, Kerala, a former minister in Government of India, former Under Secretary General of United Nations Organization (UNO), Columnist and Op-Ed contributer in various national and International newspapers, a prolific writer, authoring 16 books. and the current Chairman of the Parliamentary Standing Committee on External Affairs in Indian Pariament. 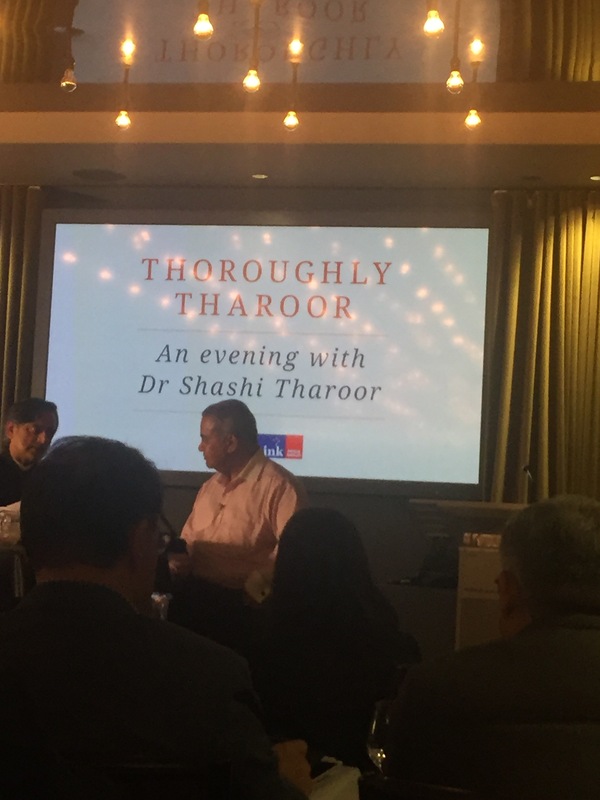 This entry was posted in Dr Yadu Singh and tagged British reign in India, Dr Yadu Singh, impact of British rule in India, Melbourne Writers Festival, Shashi Tharoor. Bookmark the permalink.